My Uncle Kevin just turned 50! For the grand occasion his daughter Season threw a kids party complete with a ring toss and balloons. I made a dinosaur cake, chocolate with fudge filling and butter cream frosting. 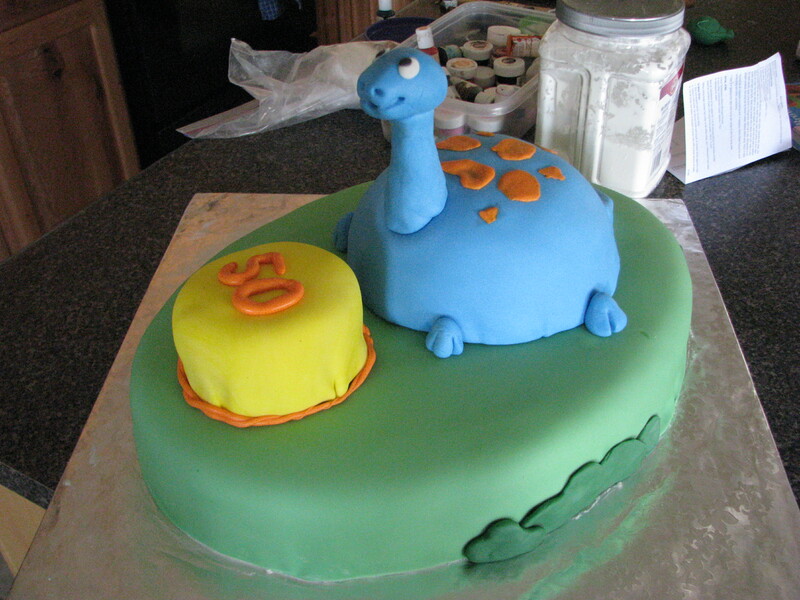 The dinosaur, the yellow cake and the green oval are actually three separate cakes. Happy Birthday Uncle Kevin!